Your Custom graphic possibilities are infinite. These are not your only options, but rather they are some examples to help you think about custom graphic treatments for your site. 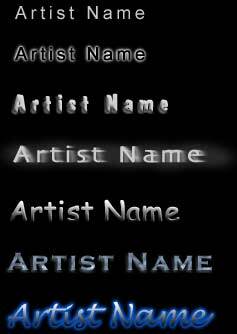 Mihalyo Studios can help you develop custom graphics. If you have an existing logo, it can be incorporated into new graphics and process them for use online.